Home » GBP » Pound US Dollar Exchange Rate Forecast: Will BoE Rate Decision Deliver Gains for GBP/USD? Pound US Dollar Exchange Rate Forecast: Will BoE Rate Decision Deliver Gains for GBP/USD? Markets are bracing for a possible rise in the Pound US Dollar (GBP/USD) exchange rate this morning as they await the conclusion of the Bank of England’s (BoE) latest policy meeting. At the time of writing the GBP/USD exchange rate remains flat, with investors in a holding position ahead of today’s rate decision. The Pound may look to punch higher today in the wake of the Bank of England’s latest rate decision. There has been considerable speculation in recent months that the BoE is likely to accelerate the pace of its monetary tightening this year following some upbeat UK data and a number of hawkish comments from policymakers. While most economists agree that it may be a bit of a stretch to expect the bank to deliver a rate hike today, many are confident that the bank will signal that one may be pencilled in for its May policy meeting. At the same time the US Dollar remains under pressure this morning in the wake of the Federal Reserve own rate decision on Wednesday. As had been widely predicted in the run up to the decision, Fed policy makers choose to raise interest rates at their March policy meeting, as the bank continued with its drive to normalise monetary policy. However with the move having already been priced in well ahead of time it failed to provide any real lift for USD. Instead the focus was on the Fed’s policy outlook for the remainder of 2018, with the US Dollar sliding as the bank indicated it would target two further hikes this year, rather than the three hikes that had been speculated by some investors at the start of the year. 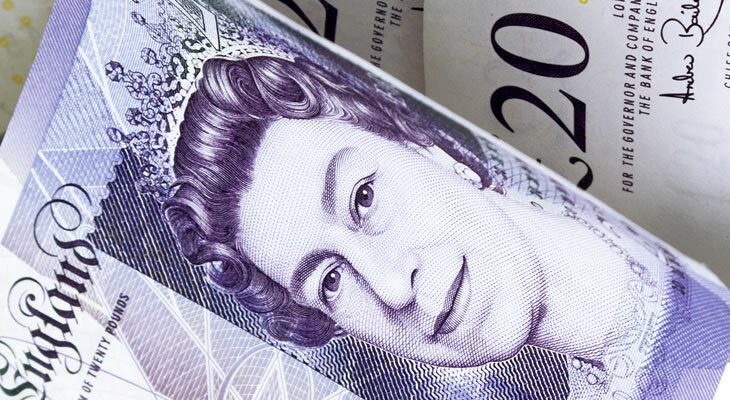 Looking ahead movement in the GBP/USD exchange rate is also likely to be driven by Brexit sentiment over the next few days as a two day EU summit gets underway. Brexit is likely to dominate the summit and will see EU leaders decide whether to allow the second stage of talks to get underway, something that will have a major impact on the Pound. Meanwhile the US Dollar may remain on the back foot for the remainder of this session as Trump is expected to announce new tariffs aim as Chinese exports later today, something that will inevitably escalate concerns over a potential trade war. Next ArticleEuro to Pound Exchange Rate Forecast: Will EUR/GBP Rally on US Metal Tariff Exemption?